This article was originally published on The HubSpot Marketing Blog. In 1923, master copywriter Claude Hopkins published a book called Scientific Advertising. It went on to sell more than eight million copies. Today, the book is widely considered the foundation of direct marketing. Scientific Advertising helped Ogilvy, and it will help you, too. It’ll change the way your research your market. It’ll change the way you write copy. Moreover, it’ll inform the psychological triggers -- the words and angles — you use to compel prospects to buy things. Throughout the chapter, he highlights a handful of specific effects (i.e., triggers) that compel consumers. Worried this information is outdated? Don’t be. Our brains don’t evolve that fast. That said, feel free to use these triggers across just about any marketing asset, including your next landing page, email sequence, press release, pay-per-click campaign, banner ad, or direct mailer. People love exploring. It’s in our nature, meaning we’re biologically driven to investigate our world rather than merely respond to it. This drive is the basis of human curiosity, which is baked into us. Our brains are hardwired to want to satisfy our curiosity. That’s what makes it such an effective buying trigger. This Facebook ad leverages something called the information gap. “See the $1.5 million Kickstarter,” reads the copy. The Kickstarter’s success generates curiosity: What could be this good? Of course, the only way to satisfy that curiosity is to click the “Learn More” button. Editors at Buzzfeed use this tactic to create compelling headlines. Writers on TV shows use it create cliffhangers that keep audiences coming back episode after episode. Marketers and copywriters use it to create ads that command attention -- always have, always will. How much something costs tells the consumer a story -- consciously or otherwise -- about that product’s quality. The price of an item can paint a vivid picture. Imagine a $10,000 watch. What do you see? Is it a luxury timepiece? Is it gold-plated? Is it powered by a mechanical movement that will last a lifetime? Are you picturing a Rolex? Now, image a $100 watch. What do you see? Is it utilitarian? Does it run on a battery? Are you picturing a Timex? The consumer has no way to discern the quality of Old Grand-Dad Special Selection, so this ad leans on the product’s high price to demonstrate its value. When you hear or read your name, your brain activity explodes: Your middle frontal cortex, your middle and superior temporal cortex, and your cuneus all light up with activity. This chemical reaction signals that what you’re about to read or hear is relevant to you. It’s also why personalized chachkies -- like keychains and mugs adorned with popular names -- continue to sell around the world. It increased Coke consumption from 1.7 to 1.9 billion servings a day. It made #shareacoke the #1 global trending topic on social media. 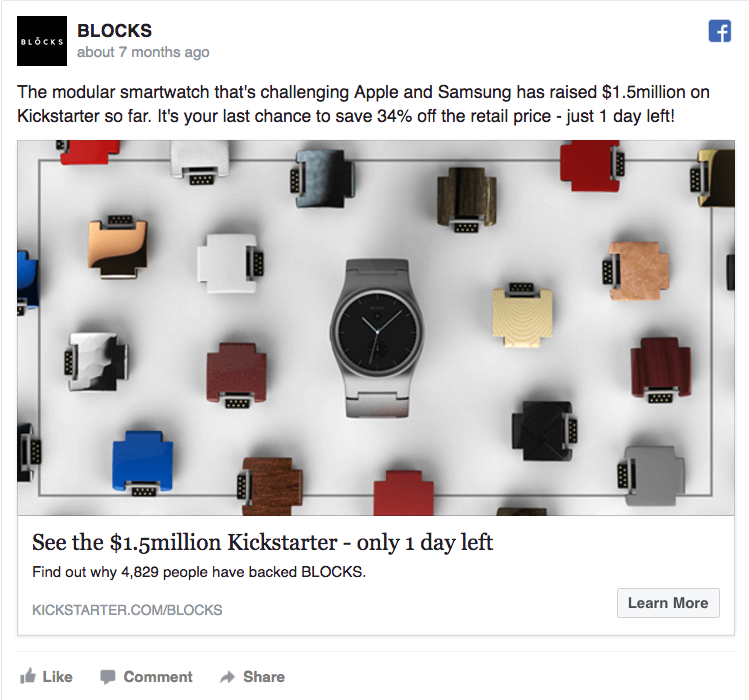 It helped the brand gain 25 million Facebook followers. The secret behind this response? The campaign gave people ownershipover a ubiquitous product. It made people feel unique. That’s the power of personalization. People get used to things. We get used to our surroundings, to other people, even to our own emotions. Basically, our brains acclimate to anything our senses experience on a consistent basis. This is called Habituation, or the tendency to have decreased responsiveness to something. Habituation is especially common in advertising. Words like “Free” and “Sale” and “Guarantee” get used so often that they lose their meaning, their appeal. Want to garner your prospect’s attention? Be different. The latter was more impressive. Not because it was better, but rather because it was new and novel, different. Marketers have been using deadlines (e.g., “Order before midnight!”) and scarcity claims (e.g., “Only 10 remaining!”) to sell things for as long as advertising has existed. Exclusivity is an excellent persuasion tool because it makes the consumer feel FOMO. FOMO, or the Fear Of Missing Out, gives us a taste of the pain we’ll experience if we wait too long. And while deadlines and scarcity claims target everyone, persona-based exclusivity speaks to an ultra-specific group of people -- and that segmentation can make the FOMO even more intense. Every summer, Apple runs a limited-time “Back to School” promotion: If you’re a college student, a professor, or a faculty member at a K-12 school, buying a Mac will get you a separate Apple product for free. Confidence is charming and engaging, attractive. Confident brands, like confident people, know where they stand. They’re comfortable with their capacity and competence and, in turn, welcome comparisons to the competition. In fact, they encourage it. Comparisons are a form of proof, which makes them incredibly persuasive. This ad is selling a typewriter by selling a feeling. Before you buy the new Royal Electric Typewriter, please do yourself, your secretary, and your company this service: try all the makes of electric typewriters. Try them for touch, for printwork, for any feature you wish. Only this way can you really know the worth of the choice you will make. Did the copywriter really expect people to do this? Probably not. But she understood that suggesting it, boldly and in print, would convey extreme confidence about the product’s quality -- and that made all the difference. One well-placed word or turn-of-phrase can explode an ad’s response. The trick is knowing that word or angle or turn-of-phrase. How to Write Copy People Notice, Read, and Trust: Lessons from "The World’s Best Copywriter"